Shoulders are one of the most often overlooked muscle groups and I had no idea why! That's why I asked several of my clients why they had never incorporated moves for their shoulders into their workout plan before training with me. The most common response I got was "I don't know how." This is the reason we started doing instructional videos on the LivRite website! That excuse isn't going to cut it anymore. You can find a full list of our shoulder workouts here. Take a look at the video and instructions below to learn how to correctly do the bent over fly. 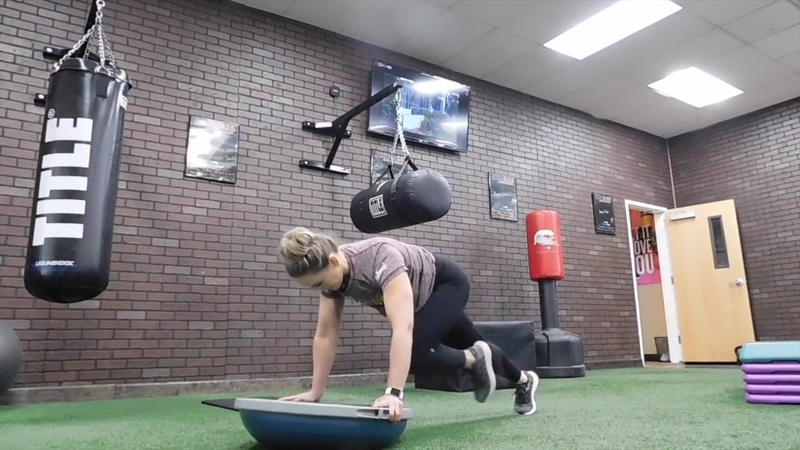 This move will target your posterior deltoids (the main muscles on the back of your shoulders) and it will also work your rhomboids and traps. Hold dumbbells in each hand, stand with knees slightly bent. Keeping your back flat, bend forward at the hip joint. Exhale and lift both arms out to the side, maintaining a slight bend in the elbows and squeezing your shoulder blades together. Looking for more great moves to add to your workouts? Check out our full list of exercises in our exercise library. Getting bored of planks but don't know what core exercises to add to your workout plan? Give elevated shoulder taps a try. This is a great move that will really test your core strength and endurance. Check out the video and instructions below and try it out today. I love adding dynamic exercises that workout multiple muscle groups to my workout routine. The alternating curtsy lunge with curl to press is one of my favorites. This move will work your legs, biceps, and shoulders. Now that's efficient! Check out the instructions below and give it a try. 1. Stand with your feet shoulder-width apart, holding one 5- to 15-pound dumbbell in each hand. 2. Lunge one foot behind you and sweep it to the side, past your front foot. Lower your upper body into a squat so that your front thigh is almost parallel to the floor. Don't let that knee pass over your toes. Keep your chest up, shoulders down and navel pulled in. 3. Bend your elbows to raise the weights with your wrists facing the ceiling, curling up toward your body. Keep your elbows tucked close to your sides. 5.Return to starting position by pushing off the front heel and lower the weights. Repeat on the other side. 6.Complete three to four sets of 10-12 reps on each side. Looking for more great leg exercises. Check out our full list in our exercise library. You can perform Kettlebell swings with both arms or alternating one arm at a time. 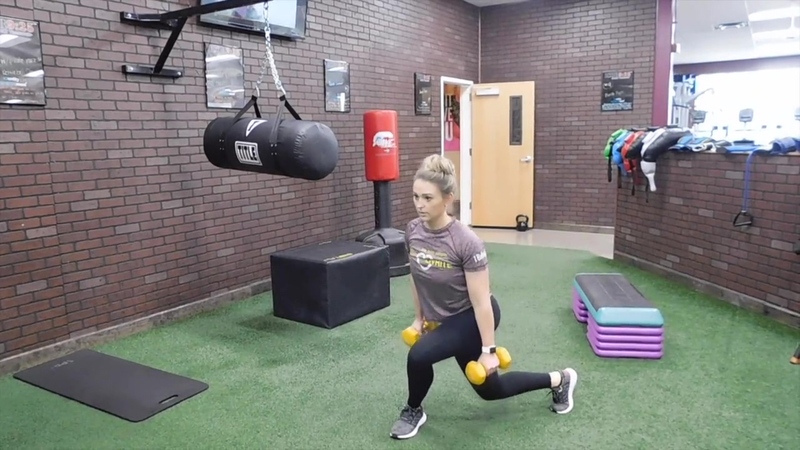 In this video we focus on the single arm kettlebell swing. Kettlebell swings have tons of benefits including but not limited to increased power, muscular endurance, and aerobic capacity. Follow the instructions below and give it a try! No one has ever said, I wish burpees were more challenging. We still went ahead and added another step to take your burpees to the next level. Adding the Bosu ball to your burpees will help engage your core and you will finish with a mountain climber move. Give it a try! With the weight transferred to your arm sand your core tight, move one knee forward one at a time. After you have brought both knees up, jump forward towards the Bosu Ball. Get back into push up position with hands on either side of the Bosu Ball. Looking for more great exercise moves? Check out our complete list in the LivRite Fitness exercise library.